Buddha Purnima - 365 Festivals :: Everyday is a Festival! An auspicious day when Lord Buddha was granted on this earth for spreading inner Enlightenment in this world. 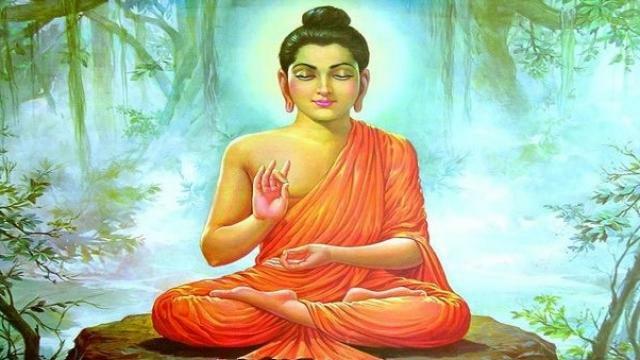 Prince Siddhartha Buddha initiated the step and founded Buddhism. His name carries very influential meaning ‘Siddha” means ‘to achieve” and “artha” means ‘goal”, a person who attained the ultimate goal which is enlightenment within. His birthday is acclaimed as Buddha Purnima. People also consider this day as the death of the spiritual teacher. It usually falls in the month of April or May depends on lunisolar calendars. His birth was predicted that either he would be a great king or either a Spiritual leader. He belonged to a royal family of King Suddhodana. His father wanted him to conquer the throne and experience life with royalties and amenities. His father always kept away him from poor, old aged, sufferer and such kind of people. One day when he hit the city he saw different sufferings and pains of people around. His charioteer Channa interpreted him that these are stages of life. Seeing all this at age of 29, he abandoned all the amenities and choose the path of renunciation and spirituality. Buddha’s way of enlightenment was very difficult but not easy to implement for everyone. People in many parts of the world follow his teaching and celebrate this festival with love and spirituality. Buddhists temples are filled with many devotees. Some of the parts in which festival is celebrated are Asia, Bangladesh, Cambodia, China, India, Indonesia, Japan, Malaysia, Mongolia, Myanmar, Nepal, Philippines, Singapore, North Korea, South Korea, Taiwan, Thailand, Vietnam. Beyond Asia, there are some parts of the world where Japanese community is grown popularly and attract any other cultures too. Indonesia has largest Buddhist temple in the world named Borobudur. There is a procession held in Indonesia from Mendut till Borobudur. Some of the cities declare it as national holiday while other just participate in this tradition by praying or visiting the temple and paying respect. Temples are widely decorated with flowers in some part of the world as a new baby is born. While in China lanterns are lit to shows signs of Buddha’s enlightenment. There is chanting, meditating, charity done on this day. Some areas of world people water Bodhi tree, where Lord Buddha has renounced all the material world and attained enlightenment. On this day followers of Lord Buddha wear white clothes, pray, chant from scriptures, meditate and donate fruits and sweets to needy. There is kheer (milk Porridge) prepared, no non-vegetarian food is consumed. Bodhi tree is decorated with colorful flags and garland. There are also lamps lit around the tree. People offer incenses, flowers, candles and fruits as per their wish in front of the idol of Lord Buddha. Buddhism followers maintain and comply five ‘Panchsheel’ which are: not to take life, not to steal, not to lie, prohibition of alcohol, not committing adultery. This year Vesak or Buddha Purnima is held on May 29,2018. This year will be showing 2580 anniversary of Lord Buddha. Experience the spirituality and love for their teacher by visiting a Buddhist temple. You can see worship and dedication from many followers around the world.